Matt and Ted Lee are the authors of several bestselling cookbooks: Charleston Kitchen, Southern Cookbook, and Simple Fresh Southern. They have written for The New York Times, Food & Wine, Travel + Leisure, The New York Times Magazine, Gourmet, Saveur, and other publications, and have appeared on many TV shows, including Anthony Bourdain’s No Reservations and The Today Show. They have won six James Beard and IACP Awards. "Lively...[with] just the right combination of sophistication and self-deprecation [to] show us what really goes on behind the scenes." "Who knew that food improv was a thing? Hotbox is wicked and funny as hell. The Lee Bros. journeyed into the lowly outback of haute cuisine—catering—and came out with a new genre, food bouffe." "Readers see behind the scenes of galas to show the conflict between sales teams and kitchen teams, understand the unique challenges of creating restaurant-quality food for a single evening, and meet the major players in the New York event world. The authors' reverence for caterers' work ethic comes through on every page. 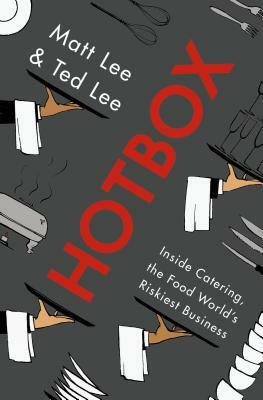 A mixture of history and memoir, the Lees' investigation offers insights into a segment of the food world that often deliberately keeps itself invisible."